← Raising Chicks~Let Mama Do It! I’m particularly excited for a few new vegetables I’m going to plant this year. 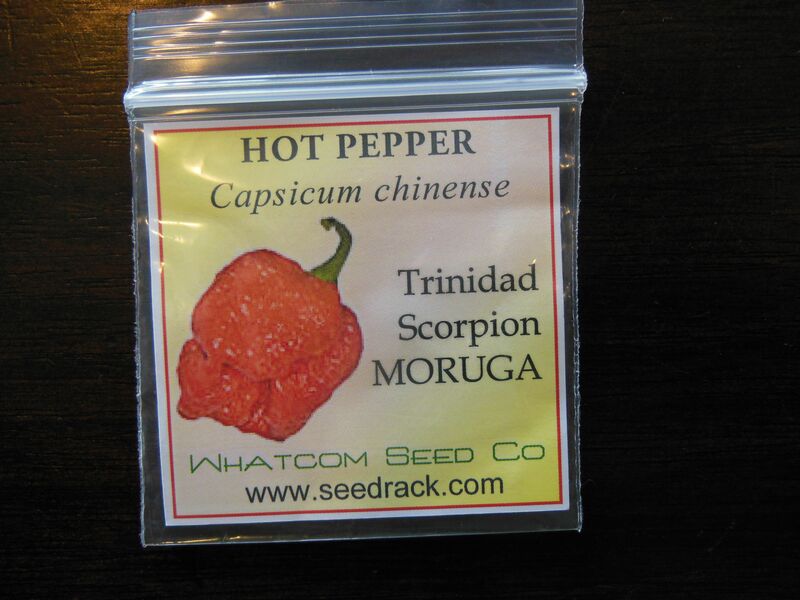 First are the new hot pepper seeds for my husband. I read that the Trinidad Scorpion Pepper recently surpassed the Ghost Pepper as the hottest pepper in the world. Daniel LOVES hot peppers and wanted to try this one. We also purchased more Ghost Pepper seeds. We’ve grown them before. We had a friend bring them back from a trip to Hawaii for us. I started each of the above varieties on February 20th. Peppers don’t grow that fast or large and you can start them up to 12 weeks ahead. The time for planting out vegetables that are harmed by frost or overly cold weather is Memorial weekend (with protection) or June 1st for my area. Then there’s tomatoes. I love growing tomatoes. I will start these varieties in the house about 6 weeks ahead of planting out. I’ve done them earlier but don’t like how large they get. It is described as, “The flavor is intensely fruity, and sugar-sweet! Plants are very productive, yielding all season in elongated clusters that look so beautiful. 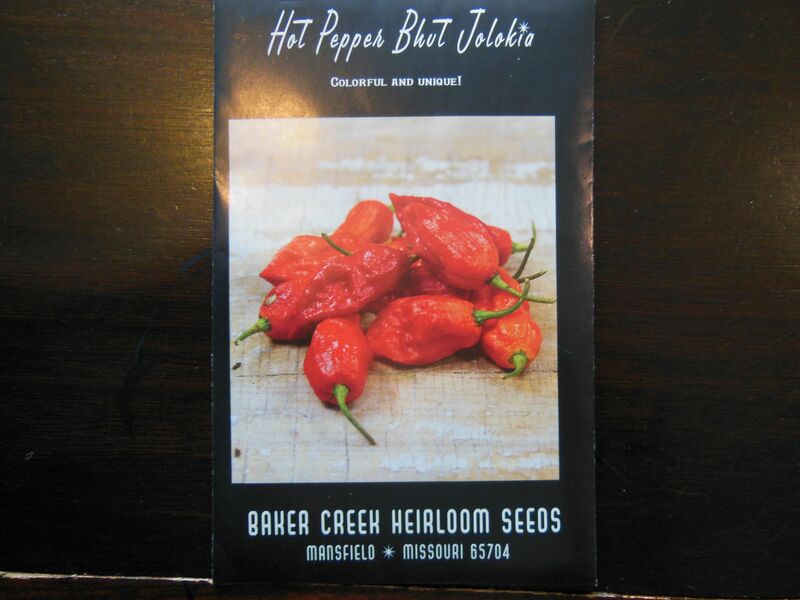 A new favorite here at Baker Creek!” Here’s the link if you would like to purchase from Baker Creek Heirloom Seeds. I have always had excellent service from them. Next is ‘Pink Boar’. “This 4 ounce gem is pinkish-wine colored with metallic green stripes. A great producer and is a definite winner if you want a smaller, juicy, sweet tomato.” Here’s the link. I’m also trying ‘Sub Arctic Plenty’. This year I will be planting a particular cherry tomato that I can’t imagine going without now. It’s called ‘Sungold’. It is incredibly sweet. I usually stick with ‘Supersweet 100’ but this year I won’t even bother. I also ordered some wild strawberry seeds. I’ve grown them before and really like them. They don’t have runners and they are small but the fruit is really sweet and flavorful. The kids also love to graze on them. Link for Red Wonder Wild. Link for Yellow Wonder Wild. I also love growing winter squash. Vining things are just so interesting and the way you can store squash for such a long time is great. Not to mention the taste. I usually just cut it in half, scoop out the seeds and bake it at 350 until it is fork tender. Perfection. This year I’m going to try a new variety. I’ve been growing ‘Delicata’ for a while now but this year I’m going to try ‘Sweet Dumpling’. It’s described as, “One of the sweetest of all! The small flattened ribbed 1 lb. fruit has a white skin with green stripes. The sweet, tender orange flesh makes this variety the favorite of many.” Here’s the link. One of my neighbors grew ‘Galeux d’Eysines’ last year and loved it so I’m going to try it this year. Another neighbor of mine gave us some cabbage she grew and it was so wonderful and sweet. I’ve never grown cabbage before but this year I’m trying ‘Early Jersey Wakefield’. Well, that’s as much as I have planned for now. I do have 107 seed packets to look through, though. I’ve always saved all my leftover seeds in ziplock bags in the fridge. I’ve gotten excellent germinations from seeds I’ve had for years. If you are a neighbor of mine and if you would like to trade for some seeds, here’s my list. I have 107 seed packets listed. This link will take you to a website I joined to keep track of everything. It’s called myfolia. Myfolia is fantastic. I’ve been using it for a few years now. You can make a record of your seed packages and then when you sow the seeds you enter that info and it will keep track of it all. Each plant has a record and when it flowers and fruits and is harvested you can record it. I love it because you don’t forget which varieties worked well for you or what changes you need to make for the following year. Well, that’s all I have planned so far for this year. What are you looking forward to growing? This entry was posted in Growing and tagged alpine strawberries, blue berries, blue boar, collet vert, ghost pepper, rutabaga, scorpion pepper, sorrel, sub arctic plenty, sungold, sweet dumpling, tomato, valerian, wild strawberries, winter squash. Bookmark the permalink. Fantastic! We definitely would like to trade some of the new hottest of hot peppers. Can’t wait to chat some more on this! Love your site! I had you guys in mind for the extra plants that sprout. I’ll have my list ready tomorrow. Thanks for sharing.